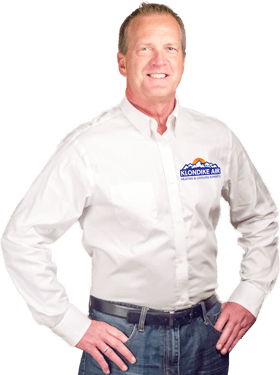 Free estimates include one of Klondike Air Conditioning Installation Service Orange County CA knowledgeable Comfort Advisors making a detailed assessment of your heating and cooling needs and providing you with an excellently designed plan and Good, Better, Best investment summaries to get you the system of your dreams. With same as cash financing available, there is no need to suffer another day when the weather turns extreme. All new installations include a complimentary year of Gold Club membership. Klondike Air Conditioning Installation Service Orange County CA offers free estimates for new installations. One of our highly trained HVAC specialists will come to your home in a fully-equipped truck to complete a comprehensive diagnostic of your residential air conditioning system. We check everything from air filtration, duct systems and thermostats, to proper zoning, insulation and ventilation. By properly sizing your new air conditioner to suit the needs of your home, we can drastically reduce the cost of your utility bills. Choosing a high-efficiency, energy saving air conditioning system will further reduce your energy bill. Our professional technicians perform a thorough, accurate evaluation and guide you through every step of the process to ensure that you get the best system for your needs and budget. At the conclusion of our evaluation, we provide a quote with up-front pricing so that you know the total cost of the project before any work is done. Our workmanship is guaranteed, and we always complete our projects in a timely manner. We serve all of Orange County. We accept cash, MasterCard, Visa, and American Express. 100% financing is available. Contact Us today for your free in-home, no obligation estimate.